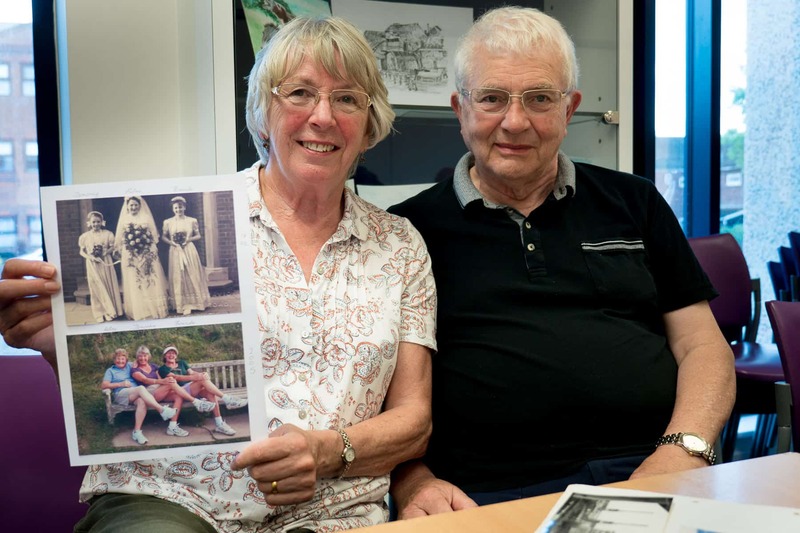 Extracts of a recorded conversation with Gary and Dorothy Watton who talk about parts of their life and share some of their photographs. Well I'm from West Bromwich and Dorothy is from from Warley. 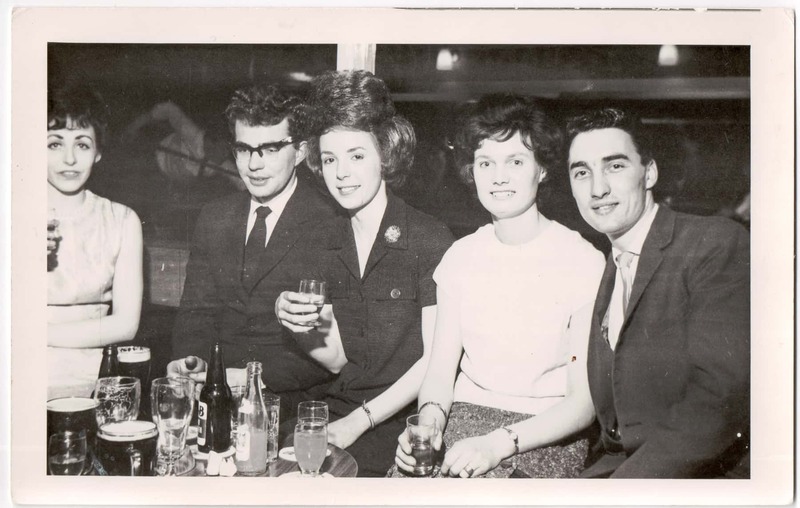 We both met at Chance Brothers Ltd in Smethwick which was a glass works and I worked there as an apprentice at the time, and Dorothy was in the office working in administration. There was a big gate which swung shut occasionally against the office window, so it was decided to put some bars up at the window to stop the glass breaking. As a blacksmith, I went along with a skilled man to put the bars up at the window and she was sitting in the office. My workmate Jack Hill said “would you like to take her out?” I said I wouldn't mind. I was about seventeen and Dorothy was fifteen. Well he went round and he said "my mate would like to take you out" and that was it. 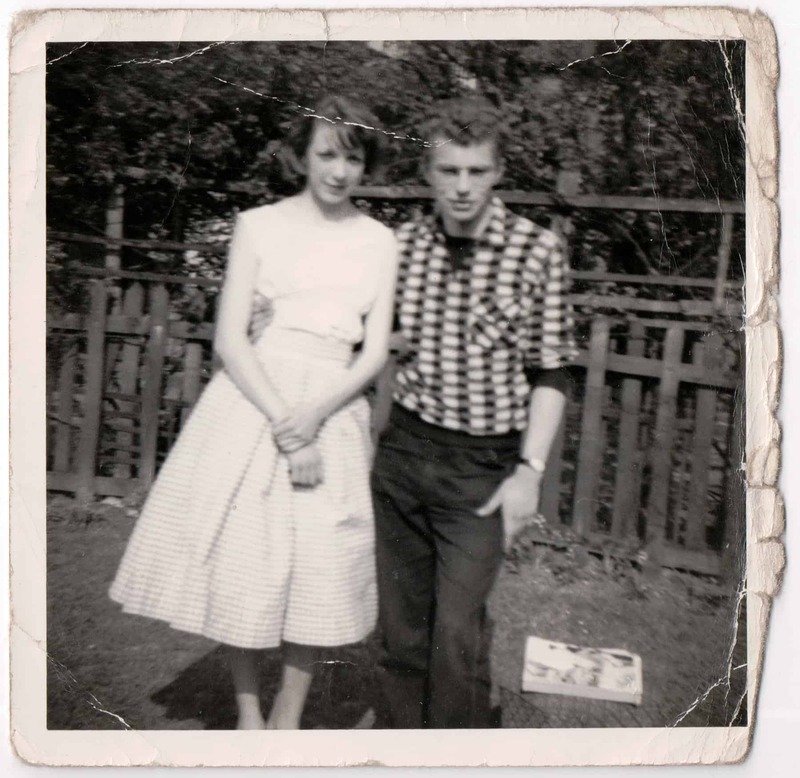 And from then on we carried on seeing each other until we got married in 1961. Dorothy and Gary in Gary's mum's garden before they got married. 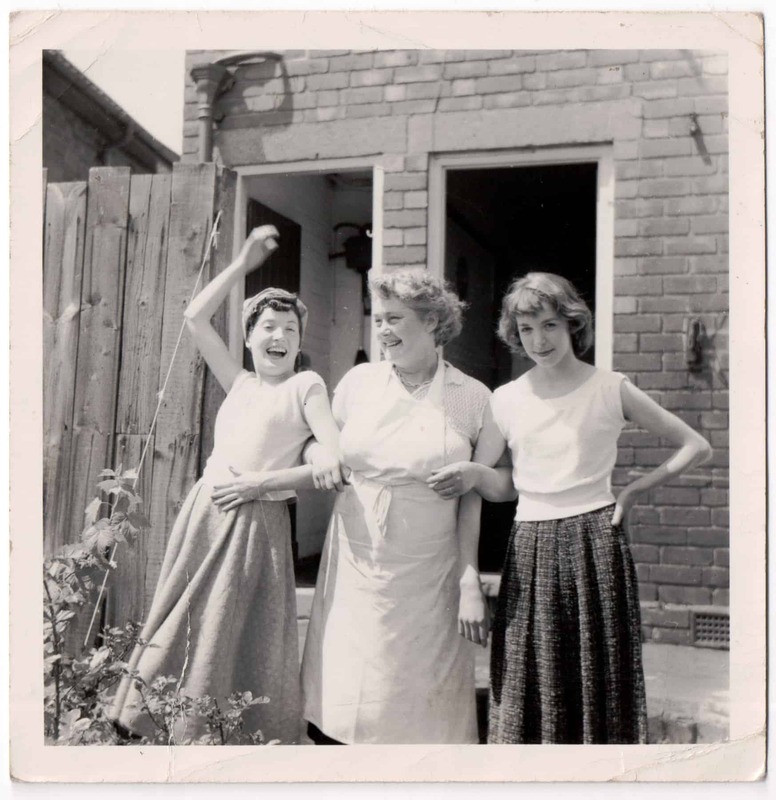 Dorothy: Oh yes, I should think I was about thirteen or fourteen there, with a friend Wendy Seeney and her mum their back garden Worley. There were outside toilets even in those days. I was seventeen then. We got married at St Hilda's Church, Warley - we got married around about one o'clock I think. We then got the train and went to Torquay for our honeymoon. We got married on the Saturday, came back probably on the Wednesday. The parents didn't pay for the wedding 'cos they hadn't got any money. So we had to save and do it all ourselves. I think we paid about £1.50 a head and we had about 30 people there for the meal. It was a chicken dinner. 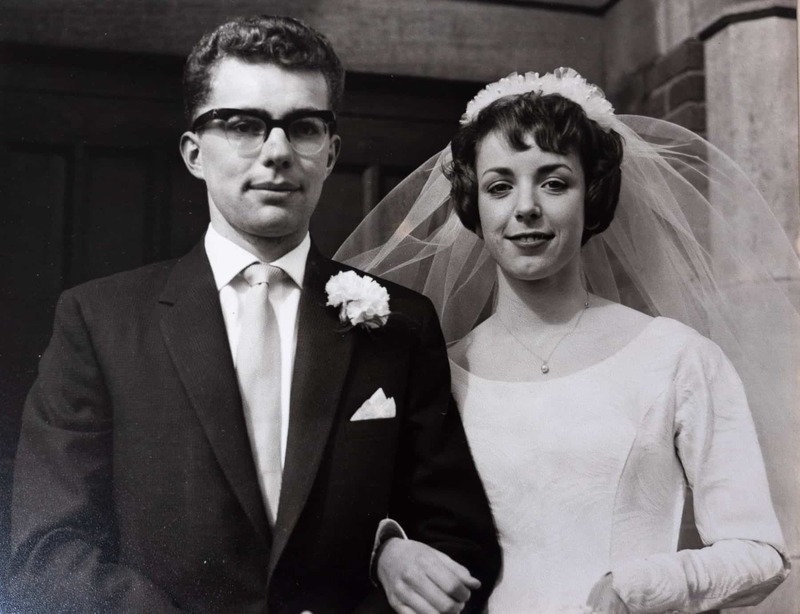 Gary and Dorothy on their wedding day 1961. 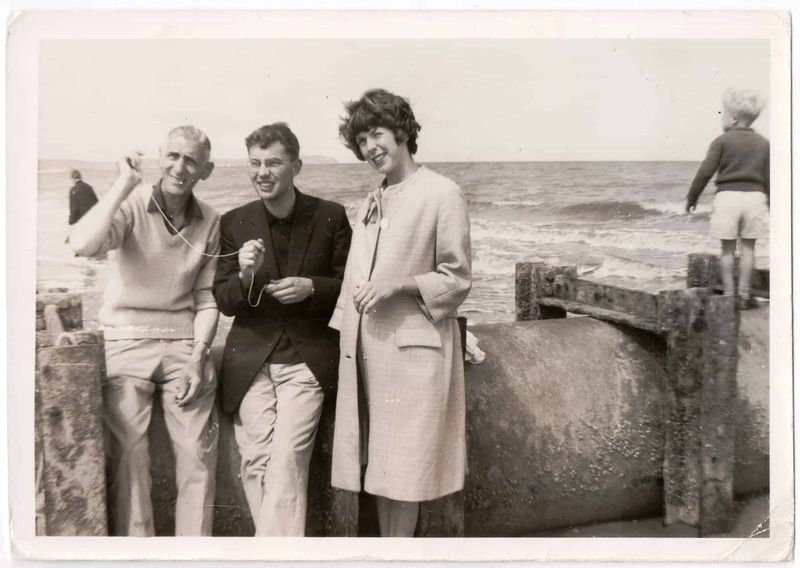 Gary's dad Bill Watton flying a kite with Gary and Dorothy at Weston-super-Mare in 1964. I remember that we stayed at the Amber Gate Hotel in Torquay for our honeymoon, and a cup of tea was six pence. You got the bill and you paid six pence for a cup of tea. And we got up the first morning to breakfast, don't forget we're newly weds sitting there and sitting at the table, and Dorothy's sitting there by me and drinking her tea and there was a dog and this dog barked "woof!" Dorothy's cup of tea went up in the air! 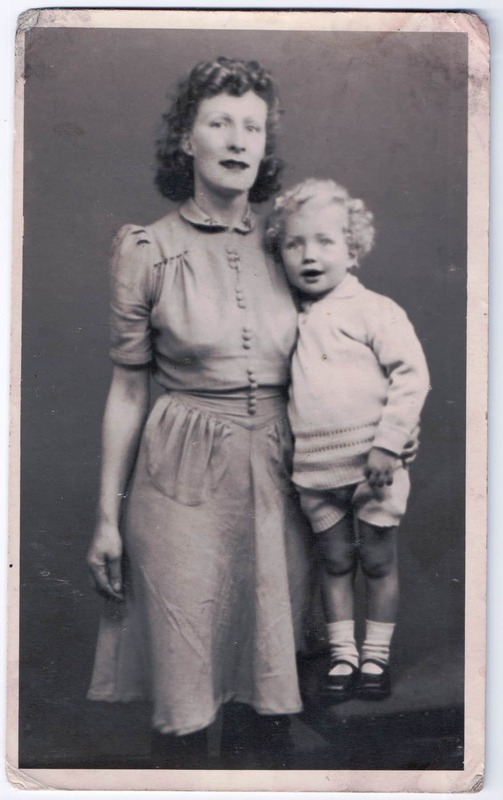 My mother was very strict. Took no nonsense my mother didn't but Dad was alright. I remember once, we lived by a canal, the Thames Valley canal and "don't you go by that canal", you'd been told. ‘Course, she didn't know that me and four other kids went down to the canal. I was supposed to be going to the pictures on the evening with mum and dad, and my dad said “I bet I know where he is”.we were going along the canal throwing bricks in and shouting I' in and behind us there was a splash and a shout Im' in and it was Albert, he had fallen in the canal. And of course, I turn round and Albert's there spluttering away, and managed to lean over the canal with one of the kids holding me legs and grab him and pull him in and on that my Dad had come up the canal back and saw all this and started to run. In the meantime I'd hauled Albert out of the canal on side. he was soaking wet and I was wet, and next thing you know, I was pulled to me feet by dad, and he kicked my behind all the way home! The funny thing is, the next day Albert, the kid who went in the canal, his mother came to our house and she'd got a toffee apple and said I've bought Gary a toffee apple for pulling Albert out of the canal. 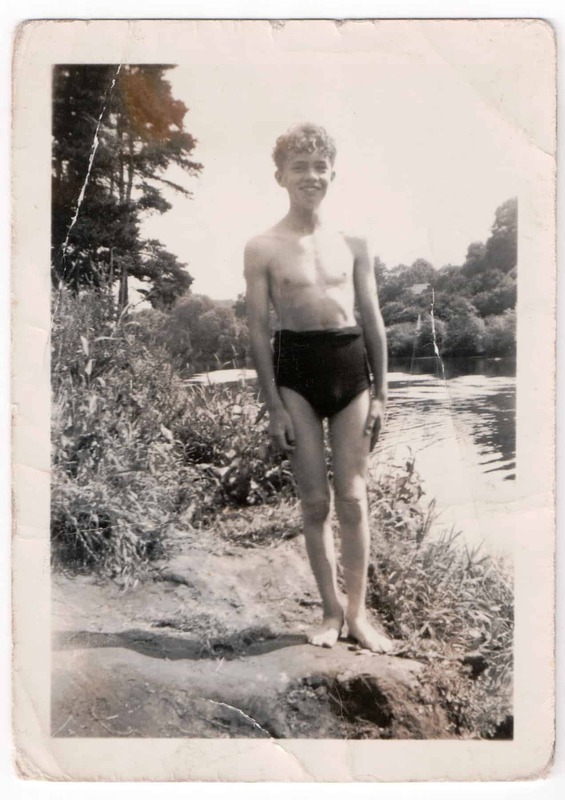 This one with the woolly swimming trunks on. I think your mum had knitted them. Gary's mum, she used to do a lot of crocheting and she crocheted me a bikini! Oh dear. Oh yes.. It was lovely. It was, she'd lined it! She was very kind but very strict. She'd never give you a hug or nothing like that. We always had a good childhood but you can't ever remember being hugged or them saying they love you like you do now. They didn't show their affection that way did they. No. But, never hit you or nothing like that, rattle the stairs behind me with a broomstick and I'd run upstairs! But I mean even when she was in her nineties and I was in my sixties, must have been, you still wouldn't argue with her. 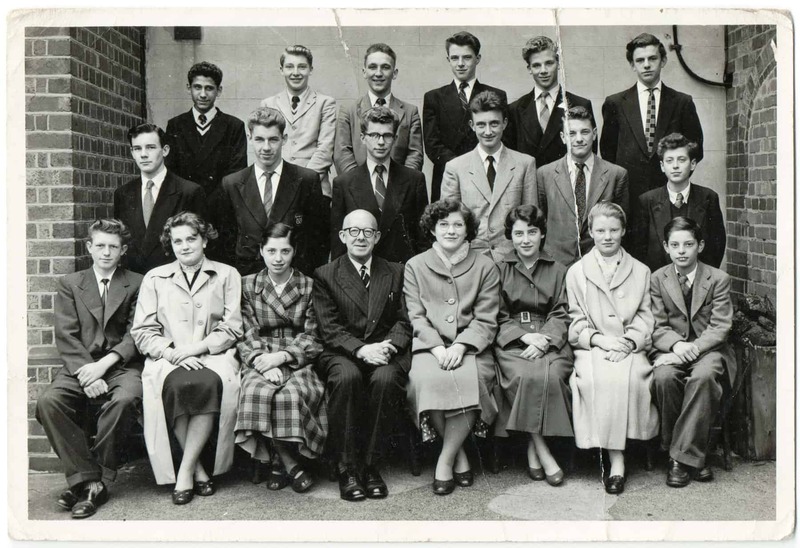 Gary: This is a group photograph from 1956 when I started as an apprentice at Chance Brothers in Smethwick. All the apprentices who were taken on at that particular time had their photograph taken with a managing director. There was all different trades and office staff. I am in the middle row, third from the left. 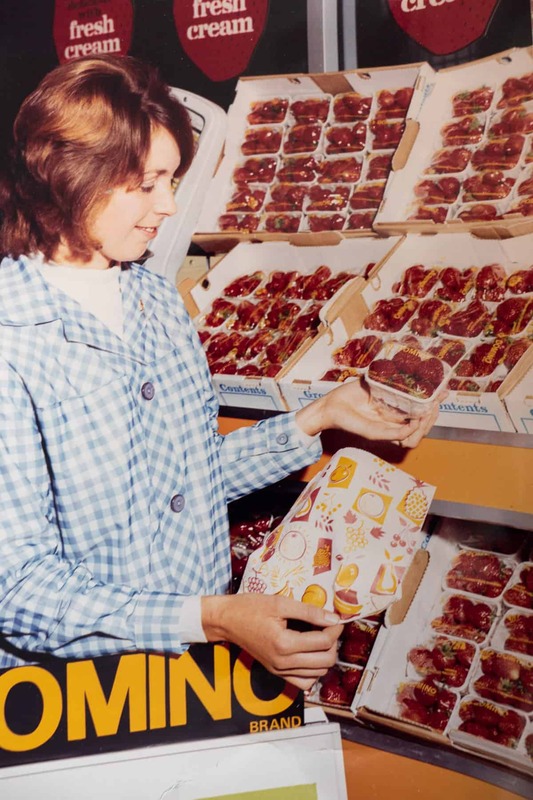 Dorothy working in a grocers shop in West Browmich in 1968. " I worked up until I was fifty two. I worked at Chance Brothers for a couple of years and I had various jobs, mainly office jobs typing, you know, general work. If you didn't like the job you could easily come out and get another one." I worked at Halfords when I left school first. My mother was quite excited that I was going to start work. 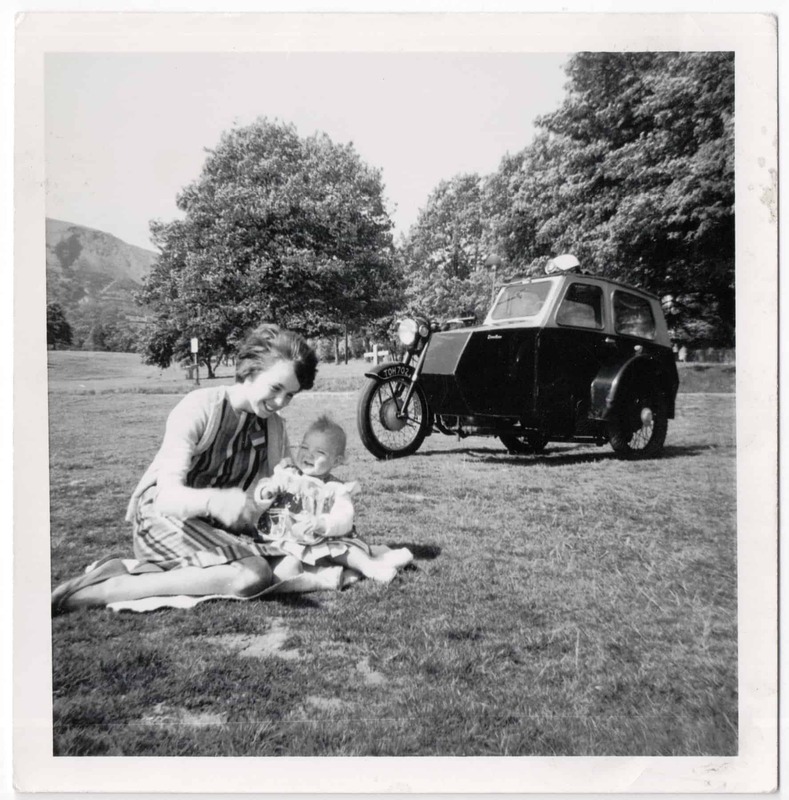 I left on the Friday and she'd found me a job at Halfords in West Bromwich and I was repairing cycles, because I was cycling mad and then Dad said I can get you a proper job at Chance Brothers cos he worked there, as an apprentice. And so I went for an interview as an apprentice and the guy Kevin O'Leary who was a personnel assistant manager said we've got to do a little test on you before we can accept you. He says, here's a bicycle pump, I want you to take it to pieces and put it back together. Been cycling for years and working at Halfords mending bikes. I didn't go for a blacksmiths job, it was just one of the vacancies which were there. Any job, apprentice, you'd got to get an apprenticeship and learn a trade, that was my father "you've gotta learn a trade. See you alright in future years." And he was right. He was right. Before you went into safety, it was a really hard. If you went on a 'hot job' as they called it - 'cos you'd melt glass at 1600 degrees centigrade and sometimes you'd got to replace something the side and so forth - well you'd have to go in there. On a 'hot job' you'd be dressed in a felt suit head to toe and big felt stetson with a piece of string on the front and a piece of wood, and you used to hold the wood in your teeth to pull the brim down to shield you from the heat and you'd come out and your suit would be singed you know, and you'd get treble time for those jobs. It reached a stage where some guy in Pilkington's glassworks, he died of heat stroke. He was a plumber working on a furnace so they came up with a calculation, you're only allowed to be in this heat for so much time. So, you'd go in and they'd time you, one minute was maximum, then you'd go in, have a rest, they you'd go in again, 45 seconds, 30 seconds, and you'd have a team doing this going in and out, it was that hot. It was a good life, but it isn't something I'd want to go back to. We always were happy. But you hadn't got any money. I used to work 74 hours a week in the 1960s, all day Saturday, all day Sunday, seven days a week, and you'd get time and a half on a Saturday and double time on a Sunday. And if you stayed from quarter past five at night, you'd get time and a third. So that's what I used to do just to get enough money to live on. And that's how we went until 1968 when I became Company Safety Officer and with it moved upwards. I stopped working overtime, I earned more or less the same but not with the hours and then gradually things improved and we got more and more. 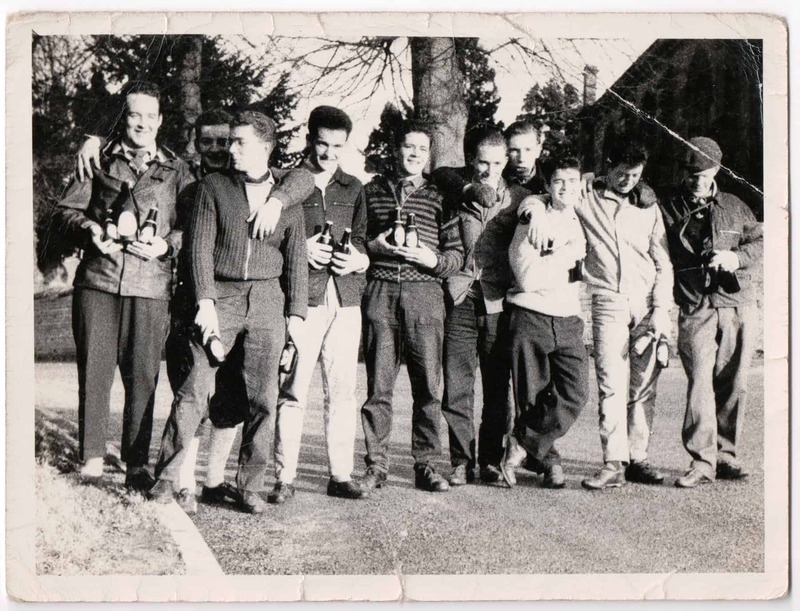 Gary (third from the left) on a cycling trip with his friends in 1959. I had a motorbike back then and I was learning, I hadn't got a license, only a provisional one. And Dorothy had to go home, in an evening and I used to say to my mum, I'm going to put Dorothy on the bus, and follow the bus on my bike and make sure she get's home. But we get down the bottom of the street, and she'd get on the back and off we'd go, Dorothy sitting on the back and I used to take her home on this bike. Prior to that when I first met her, I was in the cycling club and I used to go to her house on me bike. We'd go to the pictures and I'd throw me bike across the hedge on the front lawn and leave it behind the hedge. That's me there, and that was my best man in the middle. And we all bought bottles of beer which we were going to drink when we got back theoretically and we had a meal in Clent, on the bikes. And they said, “how we gonna get the beer back?” And they said “you're the only one with a bag, with a drawstring on the top”. So they all put the beer in my bag and one guy had got a guitar and he said I can't carry me guitar so I carried the guitar as well as the beer. Then they said “the first one up Mucklow Hill can have four bottles of the beer!” And I was first up. I think the others had drunk too much to pass me but I was first up there. I wasn't a cyclist but I borrowed my sister's bike. Gary said “we'll have a ride, we'll go to Bridgnorth”. Well, from here to Bridgnorth it’s a long way. Well we cycled there. We got there and had a rest. And coming back, she couldn't peddle. And I pushed her, all the way from Bridge North to Worley. It's about 25 miles. I'd just got my hand on the saddle, and I was peddling and she was just sitting there. I pushed her all the way back. I pushed her into the hedge on the way back as well. I never took her cycling again! We hadn't got any transport and I'd got a motorbike which was no good when you'd got a kid and a wife. My brother-in-law used to have a motorbike and side car so I said “I think we'll get a sidecar “and we went and bought this BSA 650 motorcycle. It had a bigger sidecar when I saw it but Dorothy thought the side car was too big, so she made me have a smaller one. So we had the motor bike and side car and I used to go to work on it and we'd go on holiday in it. We went to Tenby. We went with my sister, her husband and their two children so we decided to go to Tenby where we'd rent a property. It was too far to go in the side car so Bob and Brenda said you and the two kids, Belinda and Adrian. You come with us in our van. It was an A35 van with seats in the back, no windows. So we went in that and Gary went in the motorbike and side car with all the luggage inside. So we get to Tenby. On the journey there he never stopped, all the way there, never stopped. When I got off this motorbike I was stuck! 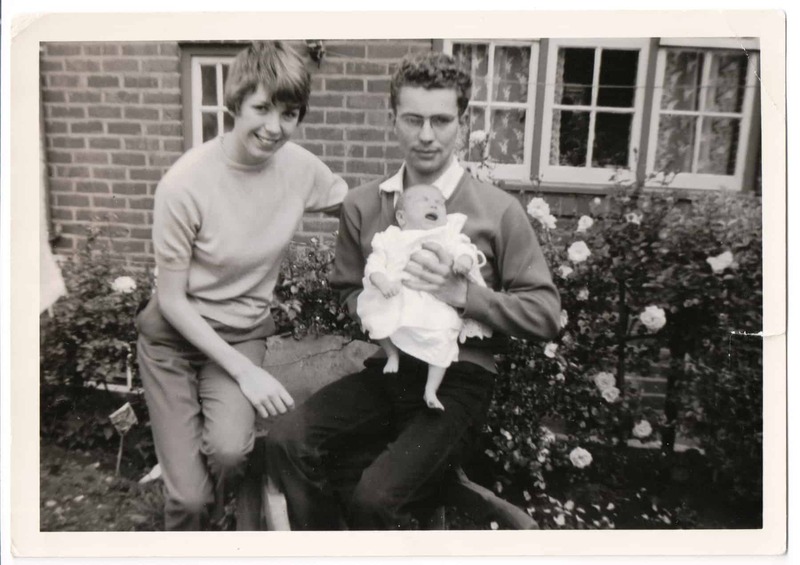 Dorothy and Gary with their first child Belinda in 1962, taken in Gary's mum's garden. Belinda was born in 1962. She was a 7 months baby and she weighed four pounds six ounce born. But they kept them in hospital then. She was in about six weeks. Eventually came out when she was about five pounds thirteen ounce I think. Where now, they would come out at four pounds something. We lived with Gary's mum for about two years and we used to have one bedroom, it's like a living room which we bought two armchairs, we had it carpeted, we had a round table and we had a six pence in the slot in the television. You’d get halfway through a program and you'd got no money in the machine in the television! The guy used to come every month and empty the slot in the television and take the six pences out. Gary and Dorothy with friends at a dance with friends in 1970. I think one of the major factors different from when we were first married to now is that people were a lot more polite. f you were on a bus and a woman got on, a guy would stand up and give the seat and all this business. You don't get that nowadays. And everybody used to say thank you and all this but you don't seem to get that nowadays. People were more considerate shall I say than they are today. There were some rough people but obviously there always has been. I mean, when you were an apprentice, you were put with some guy and they were very good and they looked after you, I mean I was with a guy called Jack Hill and, they wouldn't let you walk about with your hands in your pockets, no way, you had to take your hands out of your pockets. And you had to polish your boots as well, you wore boots, without shine at the top, you'll shine down the bottom they used to say. So, there's that, there’s the consideration for other people. It's probably still there but it isn't so noticeable nowadays. 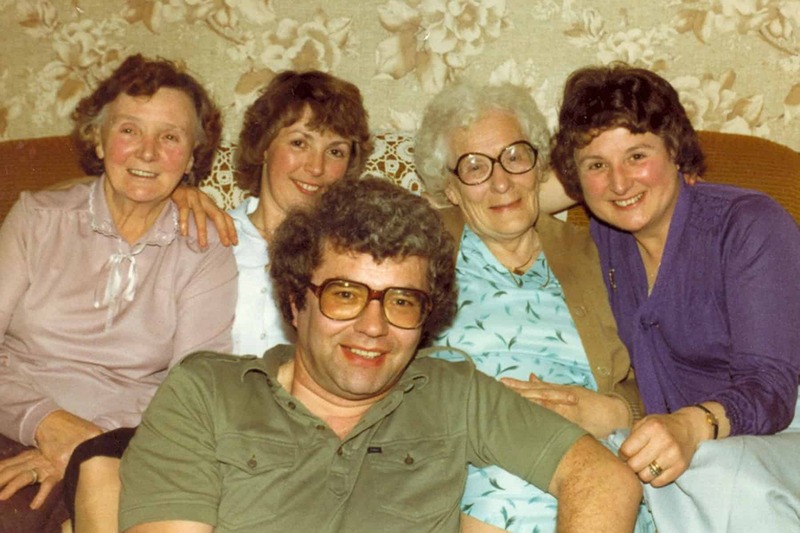 Gary and Dorothy with both their mothers Beatie and Eva and Dorothy's sister Edna Darby. 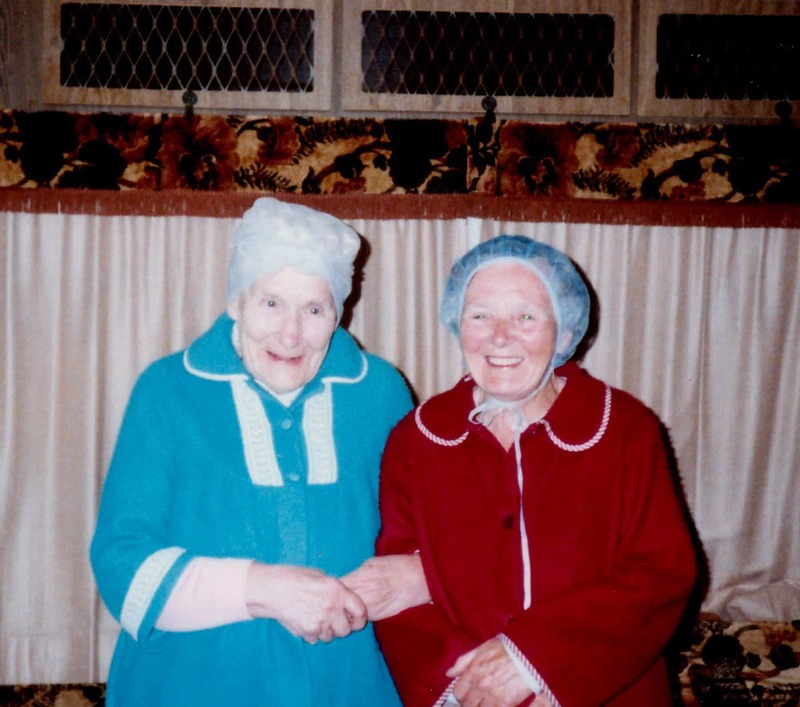 Gary and Dorothy's mums' Eva and Beatie in hairnets. Well Gary's mum and my mother always got on well together. We always had a good laugh. So we used to have a week's holiday in the Spring time so we had this caravan at Arley just outside of Bewdley and I would take them there for a week. They used to come every Sunday. Gary would fetch his mum for Sunday lunch and I'd fetch my mum and then they'd come to the house, we'd have our dinner and then they'd both want their hairs washed and dried, so I used to do this...put them in the curlers and then sit them outside, give them a drink and they'd both go to sleep. The one in the caravan with their hairnets on, I washed and put the rollers in, got the dressing gowns and I said, come on let's have this photograph. So we did and they thought it was really funny, yes. I think they died within six months of each other. Gary and Dorothy photographed in May 2018. Dorothy is holding two photos placed together. The top photo shows the wedding her of sister Edna in 1952 at St Hilda's Church, Oldbury with herself and other sister Brenda as bridesmaids. The bottom photograph show the three sisters taken together in 2014. Gary and Dorothy in addition to their daughter Belinda who born in 1962, had a son Adrian who was born in 1964. They now have a son-in- law, Brent, and a daughter-in-law, Yvonne, and two grandchildren Danielle and Alex. They all live close to each other.